WE MADE IT! WE’RE 100 DAYS SMARTER! 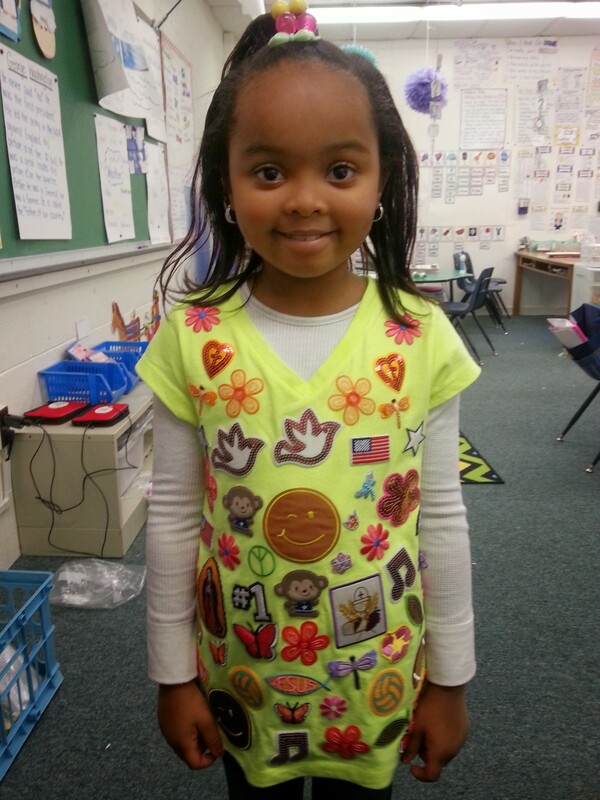 The 100th day was a big hit in first grade. I can’t tell you how many times I heard the phrase, “This is the best day ever!” LOVE. The firsties entered the room through their favorite. thing. ever. Honestly, I don’t blame them. Streamers are awesome and such a fun way to celebrate anything! Every time there was any opportunity to enter or exit the room, the firsties grinned and closed their eyes, allowing the streamers to tickle their faces and trail through their fingers. We started the day by making some awesome 100th day hats. Each of 10 strips contained a 10-grid and a space to write a number sentence. At the hat’s completion, each student had written ten number sentences that equal 10, with matching colored 10-grids, for a grand total of 100! They modeled them with flair and excitement! Next, we celebrated some more through the Primary Department Fashion Show! 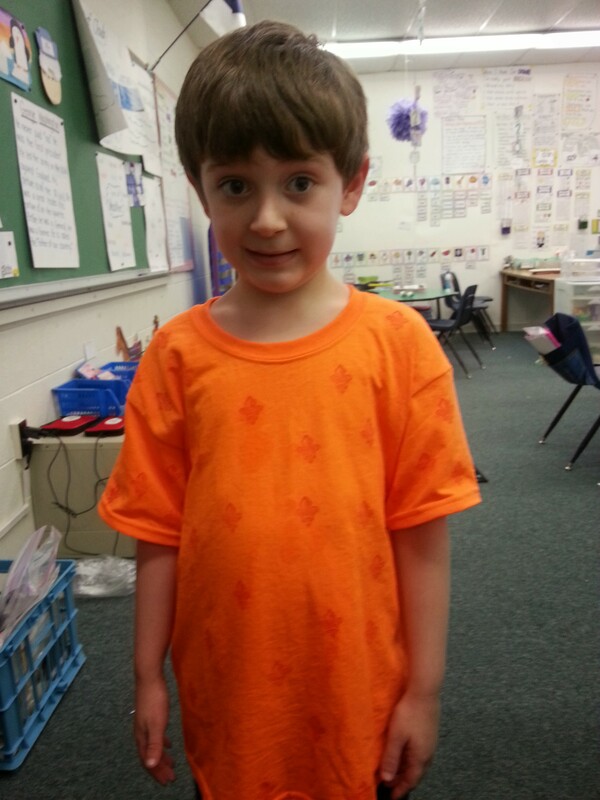 Each student had created a t-shirt featuring 100 items. It was so much fun to see how different each collection was! They loved showing off their hard work! At snack time, groups of firsties were given a heaping plate of ten different snack items and a sorting mat. They were challenged to sort ten groups of ten pieces of snacks for a grand total of 100 snacks! This was one of the highlights of the day, for sure! Who knew 100 could be so yummy?! 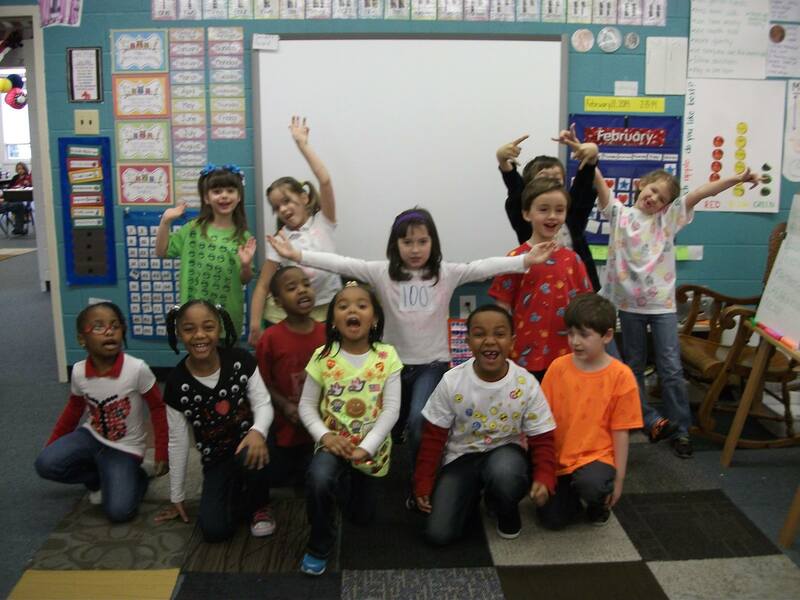 The firsties continued their 100th day celebration through a series of 100-based activities. At one station, the firsties were given a series of challenges to complete in 100 seconds. They tallied, counted, jumping-jacked, and wrote as many words as they could through 100 seconds to see how many they could do. At another station, students were given a work mat featuring 100 pennies and a die. Their challenge was to roll the die, color the number of pennies indicated by their roll, and count the number of rolls it took to color all 100 pennies. For many firsties, keeping track of all of those rolls was the trickiest part! They had to remember to slow down and make a tally mark each time instead of rushing to roll again. Patience glows! At a third station, students were given a clipboard, pencil, and recording sheet and challenged to first predict where they thought 100 steps from the classroom door would lead them and then take those steps and check their thinking. This is one of the office staff’s favorite activities to observe on the 100th day because they get to see how each firstie’s strategy is so different! At the last station, students created a book celebrating 100 by making 100 on each page in a different way, whether by recording 100 tally marks, counting by 2s, 5s, or 10s to 100, or filling in collections of coins that make 100. We also learned and sang a 100th day song and had a 100th day dance party. Was your 100th day of school ever this fun? We’re over halfway to the end of the year, friends! P.S. Special thanks to our 5th/6th grade friends, who plastered 100 adjectives describing our fashion show to our wall! They were awesome audience members! 100 days of this school year have come and gone. It’s amazing how fast every year passes by – I’m always in awe at how much the firsties have learned and changed at this point in the year. Here’s a little recap of how we spent our 100th day of first grade! 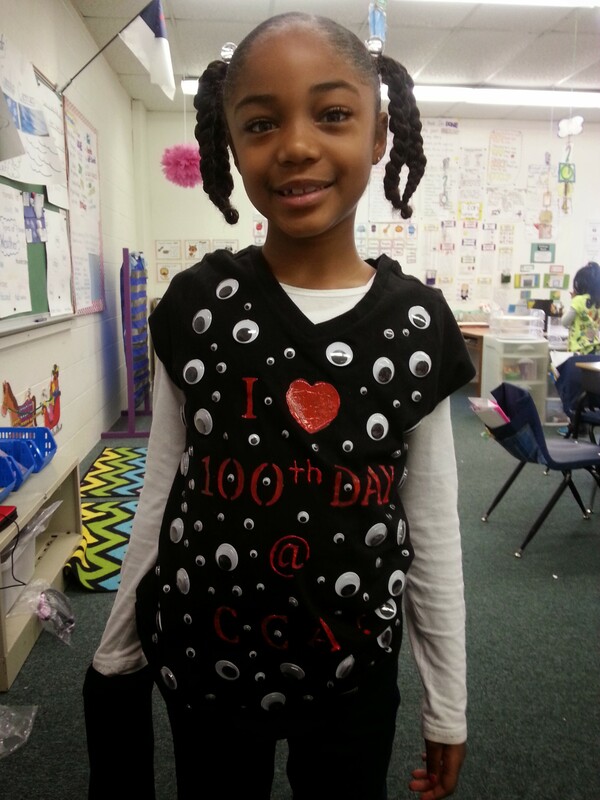 The firsties each made and wore a 100th day t-shirt, complete with 100 items. Here they are! Jac’s shirt displayed 100 red fleurs de lis. Way to show school spirit, Jac! 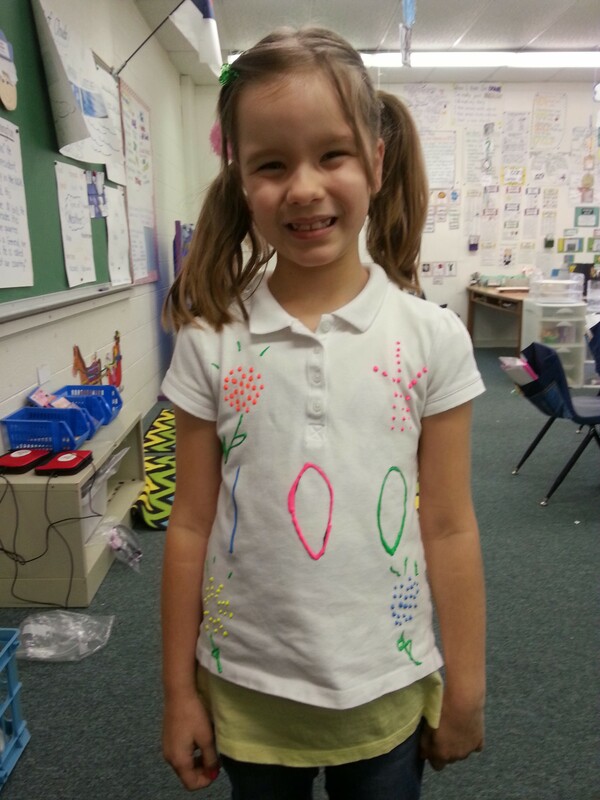 Olivia’s shirt used 100 dots to create beautiful flowers. So creative! Kayla ironed on 100 patches! They were so cool! James made 100 tally marks on his shirt. Love the math connection! Brennan’s shirt showed us 100 sea life stickers. Whales, crabs, and sharks, oh my! Kaylee really had her eye on us with this one. Ha! Madilyn’s shirt was good enough to eat. 100 cupcakes! Yum! Jehlani fluttered through the day as a butterfly, created using 100 buttons! Kylie’s shirt posted 100 pink polka dots. 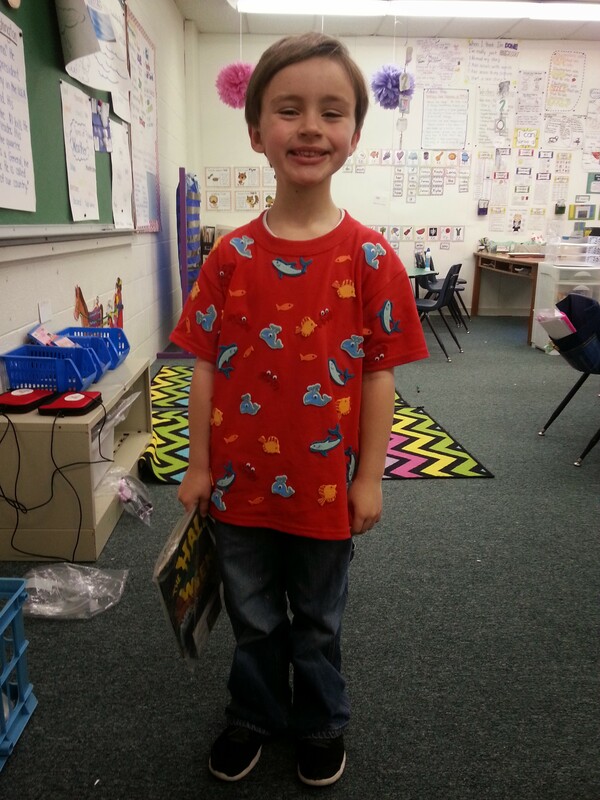 Bryce’s shirt of 100 smileys and silly faces had us giggling all day long! Lena’s shirt (which I somehow missed getting a picture of, dagnabbit!) illustrated 100 Ninja Turtles. Here’s the back – in the chapel crowd! It was super cute! We shared our shirts during Morning Meeting. Everyone got to see what everyone else made. We loved how different they all were! After chapel and a little reader’s workshop, we wrote about what we thought we’d be like if we were 100 years old. Their ideas ranged from the need for hearing aides and false teeth, service dogs and stair lifts, to the probability that they might already be dead by then (my little realists). They all included their possible physical attributes, like wrinkles and gray hair. They then drew awesome illustrations for their stories. Look for them in the hallway next week! I’m running out of wall space by the 1st grade room, so you might have to check down another hallway. We combined our class with kindergarten for P.E., where we counted how many times we could recite the alphabet, count to 10, stand up and sit back down, hop, blink, and clap in 100 seconds. They very quickly realized how long 100 seconds really is! Kiddos who started out clapping really fast were clapping much more slowly by the end. All that movement was exhausting! In math, children predicted how far 100 steps would take them. They wrote their predictions and illustrated them. Then they started at the classroom door and actually counted out 100 steps to see where they really ended up. Many friends were surprised that they didn’t get as far as they expected, while some had made predictions that were exactly right! Yay estimation! Of course, we also had chapel this morning. We learned about what it means for God to be a jealous God. We discussed why its okay to be jealous of things that already belong to us, just as we already belong to Him, but not okay to be jealous of things that belong to others. The Lord doesn’t ever want to let us go!